I Was So Saddened today! Today I went to the Shoppers Drug Mart website to look for something and I saw this picture. I was astounded at this number! 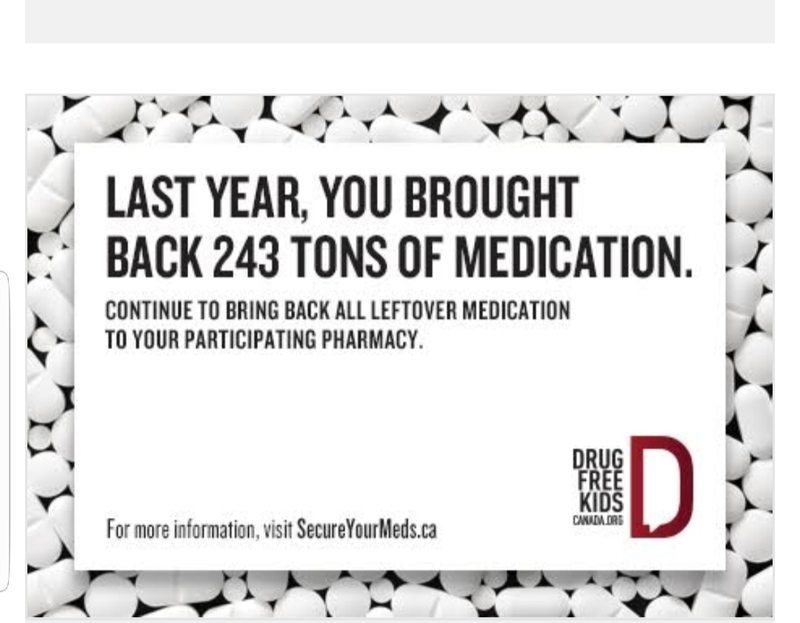 Two Hundred and Forty Three tons of medication that was brought back, as in unused, expired or discarded for whatever reason. Why I was so shocked is that this is just the number that was brought back! Imagine then how much is consumed by people? I am not against medication by any means, it has a purpose and a place and is an important part of health and wellness care, but I was instantly jolted into how big this industry really is and saddened that there are so many people on all of these medications. Something is wrong with this picture. I am sure you would agree, that life should not be this way! I googled and 243 tonnes is 486,000 pounds of meds! OMG! And this is just in Canada I am assuming. I will continue to do my part to help people learn natural ways to add more nutrition, more JOY, more nature, more laughter, and more healthy additions into their lives so they can improve their health and peace of mind in a way more so the way nature intended it to be. prescription drugs and 55% got them from a home! If we can get people healthier with less emphasis on prescription drugs, can you see the impact it would have on our children also? Let’s all do our part by continuing to work on improving our personal health and leading the way for our children and the future children of the world. Maggie Holbik.com is a Board Certified Nutritionist and Life Coach who believes in the power of nature and in laughter as medicine. She encourages her clients to make small and manageable life changes to enhance their physical health, emotional health and spiritual well-being. Contact Maggie if you would like to schedule a complimentary 15 minute discovery chat to see if Life and/or Nutrition Coaching might be of benefit to you.